It would have been around 2005 when I first beheld the Philips Ambilight Television. From the moment of reading about its unique technology I was hooked and HAD to have one! They did not come cheap so I saved and saved and then the TV gods shown down on me and I found one in a sale, and after some negotiation with the seller as to not needing delivery I bought it, I was ecstatic! Rachel and I lugged this beast back to our apartment and with gay abandon got it out the packaging and plugged it in, my OCD as to being tidy and keeping everything in its place went well out the window by this point. I remember to this day the senses of wonderment as we watched Lord of The Rings on my spanking new Ambilight. With ooo’s and arrh’s Rachel and I had watched the whole extended Trilogy before you knew it. 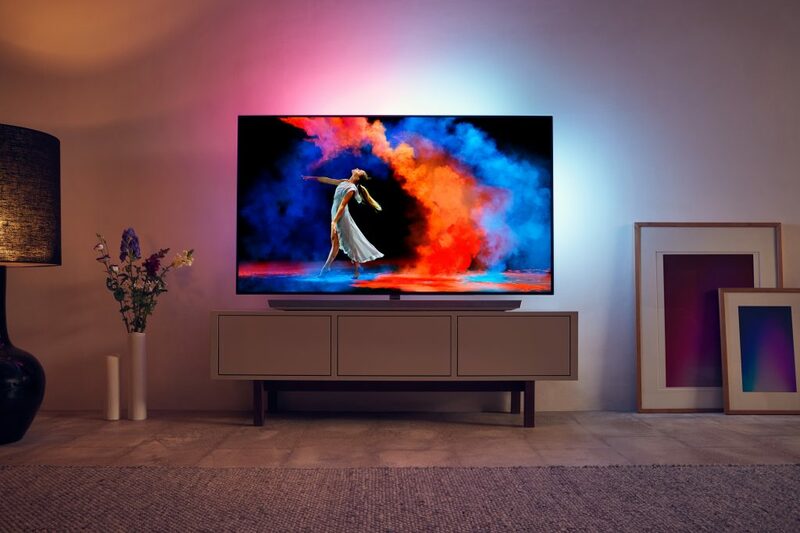 Ambilight TV’s are unique to Philips and add another dimension to your Television experience. 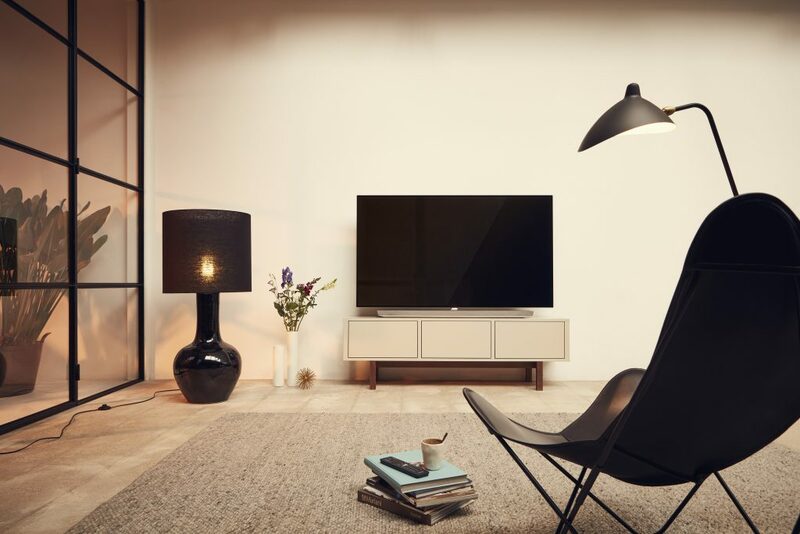 By radiating light from the sides of your TV , it takes the action beyond the screen and fills your room with the perfect ambience. Using intelligent LED lighting, everything that happens on screen is matched in real-time. You are left with a truly immersive experience where the picture reaches beyond the screen, seeing is believing and once you go Ambilight you will not go back! TPV Group, who has blazed the way in technological design for decades. 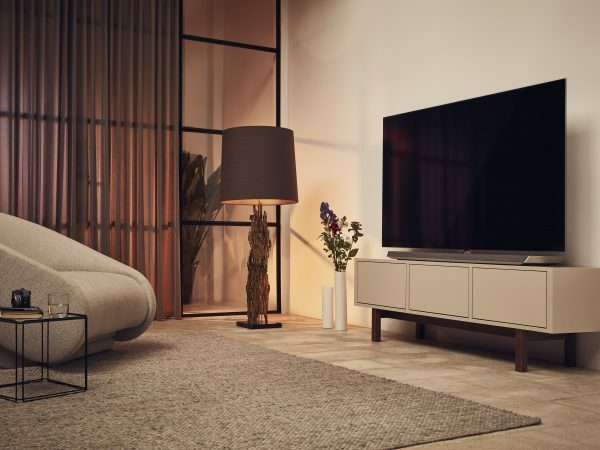 After seeing the unveiling of the new TV range and an amazing evening of immersive experiences I got the opportunity to interview Rod about the his time at Philips and the new Ambilight range. 1. How did you come to work for Philips? When I was living in Tokyo in the mid 90’s, the Philips Design ‘TV at the Crossroads’ exhibition was shown in the Japan Design Centre. I saw the unique way of bringing design thinking to Consumer Electronics and applied to join Philips shortly afterwards. 2. What sets Philips apart form its competitors? 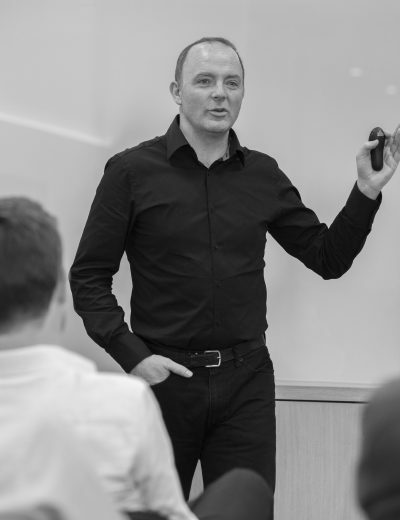 Since joining Philips Design in 1996, I have witnessed the approach we take has always been consumer insight and user needs led, rather than an unasked for technology push. That combined with a drive to create products that can effortlessly fit into and enhance the modern domestic setting sets us apart. 3. What has been your favourite product you have launched in your time at Philips and why? Working for Philips Design has allowed me to work on many firsts. Products that clearly offer an alternative proposition for consumers. A small screen bedroom TV with integrated analogue clock and ambient lighting, the world’s first Soundbar with integrated DVD player, up to todays OLED TV with wall and table mounting combining the best of European speaker fabric to give amazing picture and sound designed as a beautiful domestic object. I have many favourite products over the years working with the triangle of product management, development engineers and design to actually bring innovation to market. 4. 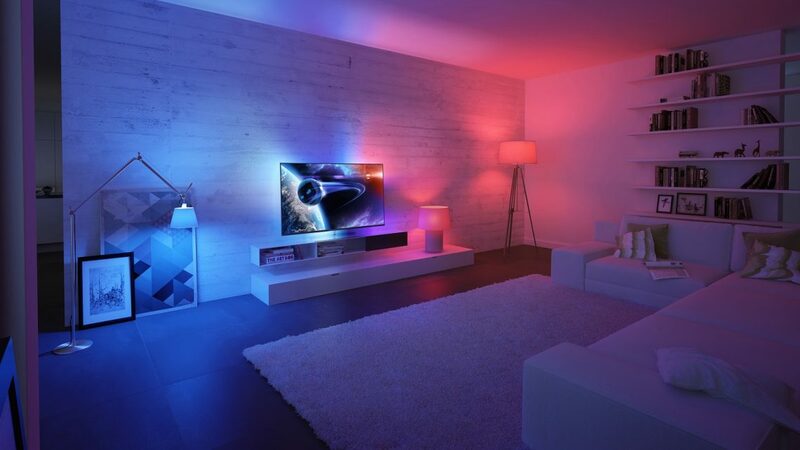 How did the idea for the Ambilight Television first come about? Ambilight was launched 12 years ago out of a recognition that a bright TV image in a dark environment was neither the most relaxing viewing context nor the most rewarding. By extending the picture onto the wall behind gave a more immersive experience without the eye tiring, strong contrast of normal TV viewing. 5. How has the Ambilight TV evolved over the years and where do you see it going in the future? Over the last 12 years the TV bezels have reduced in dimensions to the point the Ambilight is almost a seamless extension of the viewing experience. We have democratised the feature of Ambilight throughout the range over the years and currently use an LED based 3 sided light solution. 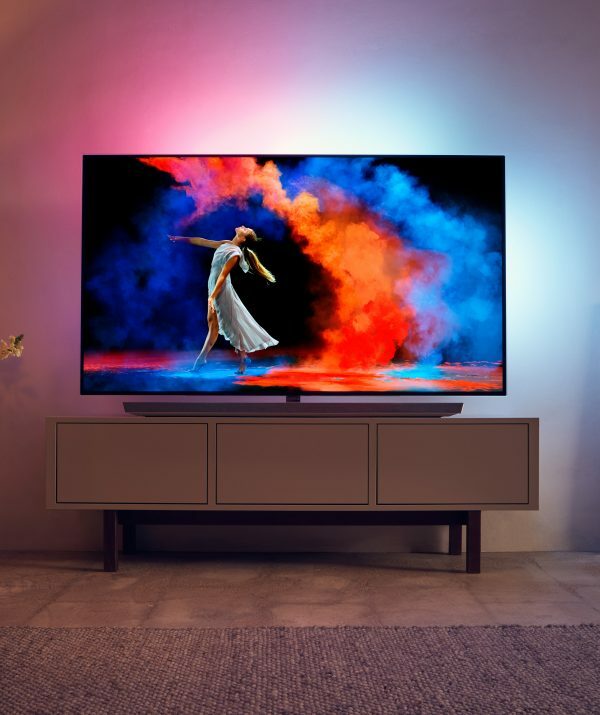 TV Ambilight is already extendible by coupling Philips Hue lightbulbs as a light extension through wifi connection. I truly believe the future of Ambilight is the same as that of TV itself, which is it will become more integrated, less visible, yet more immersive. 6. 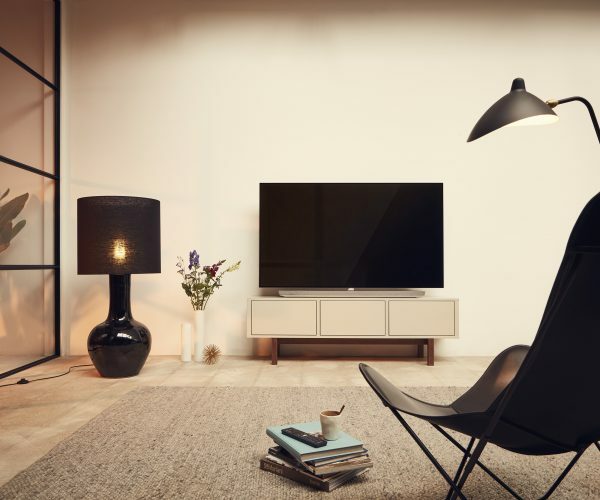 The new Amblight TV range pushes through boundaries in terms of interior design, why was this so important and what has been the feedback? With this new OLED TV we wanted to make an interior object statement. This of course starts with the screen itself which we have created as a pure sheet of glass. The glass is a structural element giving stiffness over the large thin surface, but also allows the interior context to bleed through the edge of the product from a frontal aspect. We also wanted to make a visible statement on audio quality. We did this by bringing a powerful audio solution configurable on the table and also on the wall and wrapped in Kvadrat speaker fabric. The choice of Kvadrat afforded us not only a great looking material with excellent audio performance, but also another proof point of our European Design promise. 7. What is your favourite TV in the Ambilight range and why? Actually when we design the annual range of products we do so as a team and within a strategic range approach to show clear logic throughout, regarding material and archetype usage. I can’t say I have a specific favorite but since we made clear our intent last year our position of European Design I’m very happy with the final 2018 range in its ability to communicate that. 8. What do you think is the future of Televisions for instance 3D or other virtual reality programs? 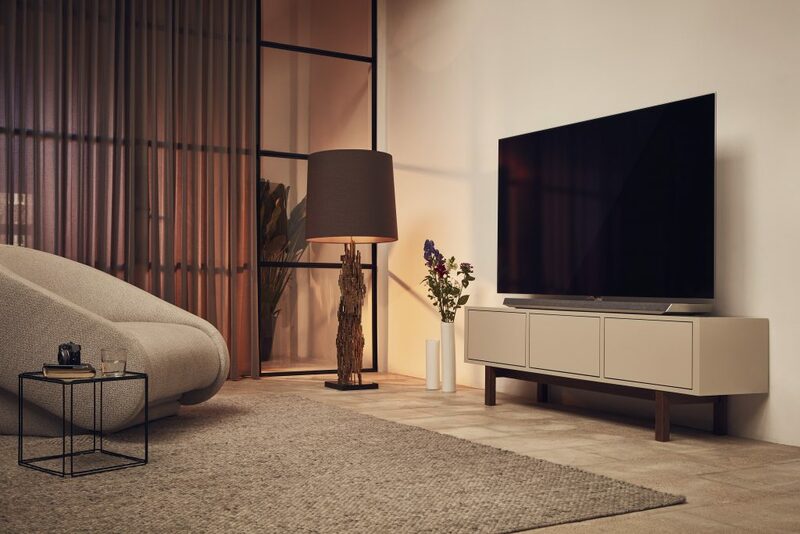 I believe with the ever improving quality of image quality and resolution combined with the promise of transparent displays I believe the future of TV will be more of an interior panel giving a fully immersive TV when ‘on’ but non visible when ‘off’. This combines the 2 consumer needs of having an even better viewing experience with not having their interiors dominated by technology. 9. 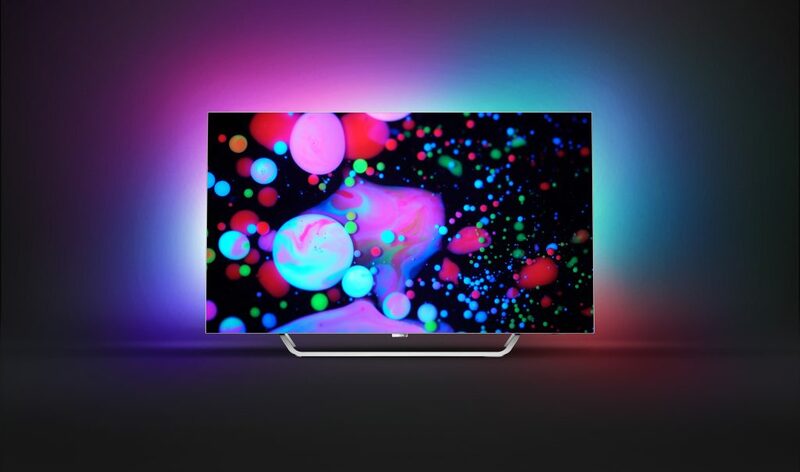 If you could only watch one thing on the new Ambilight TV what would that be? Well that would probably be to enjoy watching Scotland play rugby. 10. Who is your favourite designer or inventor that inspires you to do what you do? Hans J. Wegner for form and material use. Naoto Fukasawa for reducing design to its purest expression of product experience. 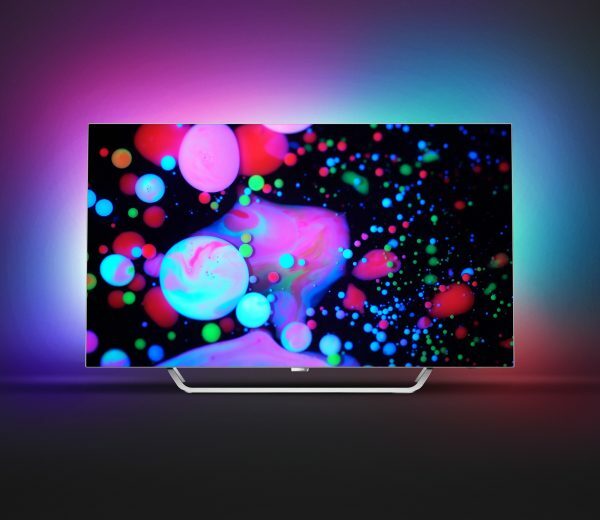 For more information on the Philips Ambilight Range please see online.